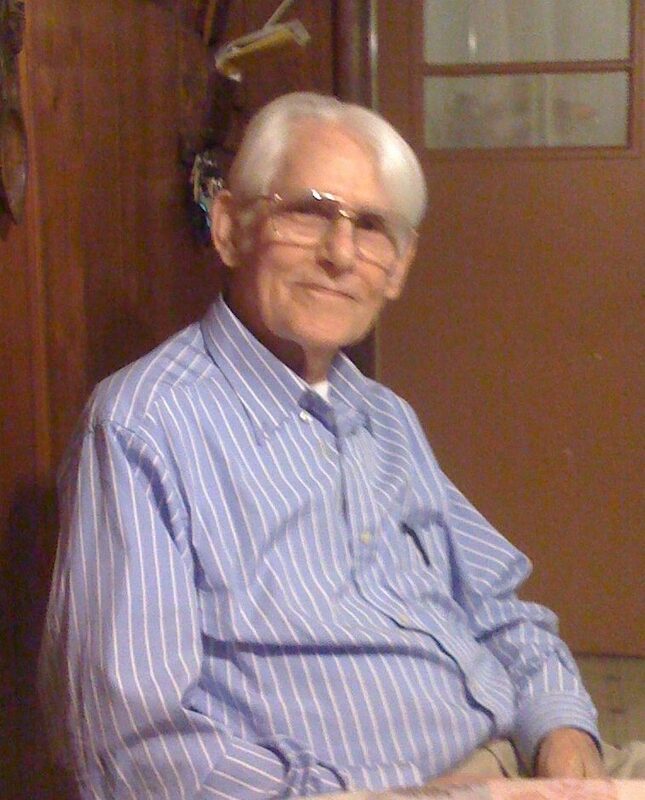 ALBERT PEDRO “PETE” PEEBLES, 95, was born October 23, 1919 in Fitzhugh, AR to the late Albert “Doc” and Ethel Bates Peebles and passed away Friday, May 29, 2015 at Woodruff County Health Center in McCrory, AR. Pete was a lieutenant in the U.S. Navy and served during World War II, the Korean War, and the Vietnam War, retiring after 27 years of service to his Country. He was Presbyterian, was a mason, and a member of the Scottish Rite. He also served as Constable for Hickory Ridge for many years. He is survived by his wife of 25 years, Geraldine C. Peebles of Hickory Ridge; daughters, Mary Doerner of Palm Bay, FL, Jean Hendrix and her husband, Michael of Monticello, AR, and Lynnette Imboden and her husband, Terry of Hickory Ridge; son, Joe Peebles and his wife, Regina of Southaven, MS; grandchildren, Michele Hendrix, Candace Hicks and her husband, Sean, Molly Doerner, Amy Imboden, John Peebles and his wife, Karrie, Patrick Peebles, and Christopher Peebles; great grandchildren, Jordyn Hayley Peebles, Jadon Christopher Albert Peebles, Alexander Joseph Peebles, and Andrew Duncan Peebles; and brother, Tom Peebles. He was preceded in death by his first wife, Jean McGregor Peebles; sister, Alma Sherrell; and brother, John Billy Peebles. Graveside services, with military honors, will be held Sunday, May 31 at 2 p.m. at Augusta Cemetery in Augusta, AR. The family requests that any memorials be made to the Arkansas Children’s Hospital, 1 Children’s Way, Little Rock, AR 72202-3591. I’m so sorry to hear of Mr. Pete’s passing. We sat by him on the same church pew for several years. I loved visiting and laughing with him. He loved to pick at our kids and we miss him. I was so sad to hear of Mr. Pete’s death. I know you will miss him so much and I am praying for God to give you comfort during this very difficult time. Pete has crossed over and been reborn to everlasting life. The beauty, peace and joy that he is experiencing is unimaginable. As you morn his death my heart breaks for all of you but I know the angels are singing and welcoming him home. Sending my love and sympathy to this wonderful Peebles family.